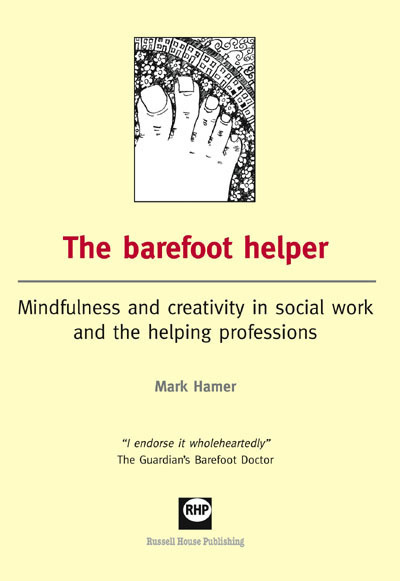 The Barefoot Helper lets you experience the very life of spontaneous engagement with another human being, experience the full joy of living and being, while doing not just food work, but fantastic work. Written in a spirit of celebration, it reminds us that, as workers, we are a positive force in the world, intensely practical and useful, it will help you think about how you work. Social workers, students, teachers, practitioners, managers and anyone else who works with people, sick people, hurting, abused or abusing people, violent people, people without hope, drug misusing drinking, worried or frightened people. This includes youth workers, mental health workers, substance misuse workers, criminal justice workers, carers and health workers.